Businesses change drastically over time and with that comes generational attitudes on how a business should be run. There are a lot of reasons why this happens and despite those reasons, it can create frustration and stall progress within a business. Rather than fight those differences, we take a look at them and want to celebrate them! As a business owner, you will already have so much on your plate, that every single dollar you manage to save might seem like a difference between success and disaster. Still, even those who believe they run a truly frugal office are sometimes completely oblivious to all the additional ways in which they can save a bit more. That being said, here are five steps that, if adopted and enforced properly, might save you a fortune in the long-run. 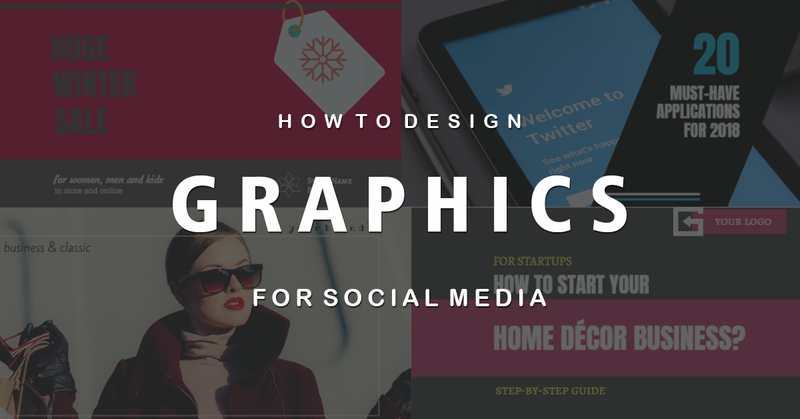 This is a step-by-step guide to creating eye-catching images for social media that drive engagement and leads – all without a designer. You are aware of the power of visual content. Yes, social media posts with images are proven to convert better than posts with no images.In a survey, 37% of marketers said visual marketing was the most important form of content for their business, second only to blogging (38%). You can never have enough of backlinks to help you with getting your business website more optimized for search engines. To get more traffic from trusted sources can be a headache. This article will illustrate some creative strategies which you can use to get more backlinks in creative and innovative ways which will guarantee to give you more traffic to your business website. Interior design has recently become the hottest industry and everyone seems to be in love with it. There’s a certain glamour and allure about it. If you have a knack for art and design, and you’re looking to start your own business, this might just be the right choice for you. However, bear in mind that it’s not called business for nothing. It might be tricky to stand out from the crowd, offer something fresh and exquisite, and score great gigs in the beginning. Everyone has an app these days. Every major company with a website will also guide you to an app from their mobile site, and often they entice customers with additional content and offers available only through the app. This appeal means there are literally millions of apps (6+ million in 2017 on just Apple and Google’s platforms, as seen below). If you don’t market appropriately, your app will get buried on the rankings. And people are not scrolling through hundreds of apps per keyword search. Even if your app is valuable, low rankings will lead to low perceptions. If your business has gone off the rails, so to speak, it is important that you know how to start getting it back on track as quickly as possible. There are a lot of different ways to improve your business for the short-term and long-term, and it’s important that you know what some of them are. The more information you get, the easier it will be for you to get your business back to where it should be. If you’re in the position of owning your own business, you might find that the laborious process of checking up on your finances and measuring and managing your cash flow can get in the way of the real work that needs doing - like managing your staff, making influential contacts, and meeting with important clients. Often, the finances of a business are so complex that a number of staff are required simply to keep on top of it. If you’re in this particular boat, the following tips on streamlining your company’s financial system will prove useful in minimizing the time you spend with your eye on the spreadsheets and therefore maximizing your capacity to grow your business. What Type of Office is Right for You and Your Team? Long gone are the days when the workspace was defined by gray-scale color schemes, narrow cubicles, and fluorescent lighting. Today, even the biggest corporations in the world are moving their staff into beautifully designed modern offices in an attempt to instill a more open-minded company culture. Yet, even though trendy spaces, with inbuilt cafes and plenty of social spaces, are becoming increasingly commonplace, they aren’t the only option for companies that are looking for a change of pace.